The BFR (acronym for "Big F---ing Rocket") is a two-stage super-heavy-lift launch vehicle being developed by SpaceX. First unveiled at the International Astronautical Congress (IAC) in 2016, the BFR was originally presented as having a 12-meter-diameter core, a gross liftoff mass of 10,500 metric tonnes, and an overall height of 122 meters. At the 2017 IAC, Musk revealed a somewhat smaller version of the BFS, with a 9-meter diameter and a height of 106 meters. Whatever its eventual configuration, the BFR would be powered by SpaceX's cryogenic methane Raptor engine, currently in development. While Musk suggested that the BFR could be used for point-to-point launch services on Earth, the massive rocket was originally positioned as the core portion of an Interplanetary Transport System (ITS) to Mars. 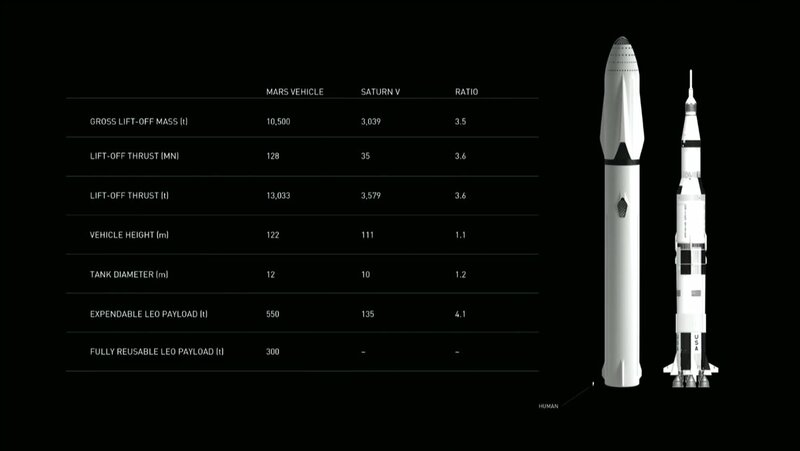 The mission profile for BFR would comprise a first launch of the core stage and crewed upper stage to low-Earth orbit. The first stage would return to the launch site, have a tanker spacecraft placed on top, and then relaunch to rendezvous with and refuel the ITS spacecraft, which would then accelerate toward Mars. ITS' outbound velocity would be 100,800 kph. En route, the spacecraft would be powered by solar arrays capable of generating up to 200 kW of power. 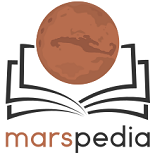 Upon reaching Mars, the ITS would use a combination of aerobraking and rocket thrust to decelerate and soft-land vertically, tail-first on the surface. The use of methane on the Raptor indicates that SpaceX hopes to use Mars-produced methane via the Sabatier process. A subsequent SpaceX video depicted the BFR as providing nonstop transportation from New York to Shanghai in 39 minutes and "Anywhere on Earth in under an hour." ↑ SpaceX. "BFR | Earth to Earth," YouTube.com, September 28, 2017 https://www.youtube.com/watch?v=zqE-ultsWt0. This page was last edited on 6 April 2019, at 10:09.